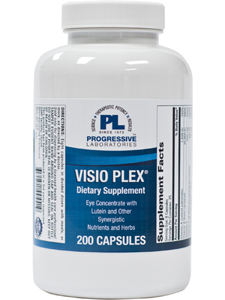 This product is formulated to promote proper functioning of the eyes. Nutrients are provides to supplement things that are beneficial or lost with aging. 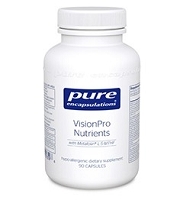 Vitamin A, besides being beneficial to mucous membranes, is essential to the formation of visual purple pigment which is necessary for proper night vision. Raw eye concentrate is added to assist in cellular repair. Lecithin provides lipotrophic factors, and the herb, eyebright, has been used for many years to benefit vision. 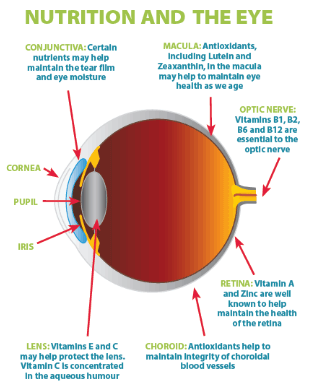 Lutein and Zeaxanthin are found naturally in the lens and retina. The amino acids are precursers of Glutathione, which is found abundanatly in the lens, but it‘s concentration diminishes with age. 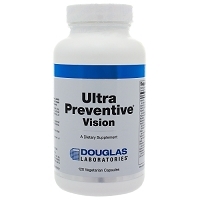 Antioxidant minerals are added to retard progression of cataracts and macular degeneration.